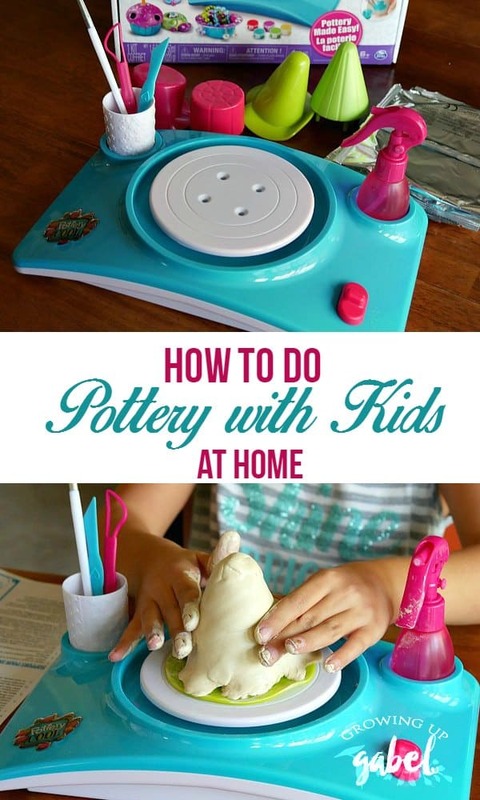 Pottery for kids can be a fun and creative hobby especially when kids can get creative right at home! 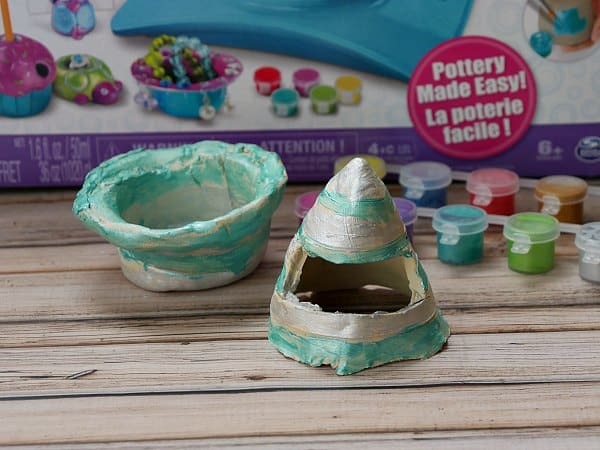 Check out Pottery Cool, a pottery wheel that includes everything for kids to make 6 fun and useful projects. When I was a kid the community college in our small town offered a program called “Super Saturdays.” They would offer classes to elementary aged kids. Every year I would sign up for the pottery class. I loved it! I must've taken that class 3 years in a row. We don't have a kids pottery studio or classes, but my kids love creating with clay. We've made clay necklaces and clay Christmas ornaments. They loved doing that. There is something very neat about molding a piece of clay in to a useful item. So both my kids and I were very excited to try Pottery Cool. 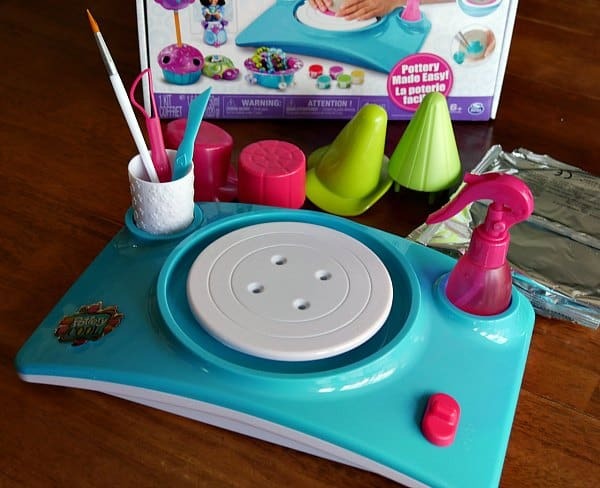 Pottery Cool is an air dry pottery system that comes with a pottery wheel, tools, molds, clay and paints. All I needed to provide were some some batteries and two very eager potters! 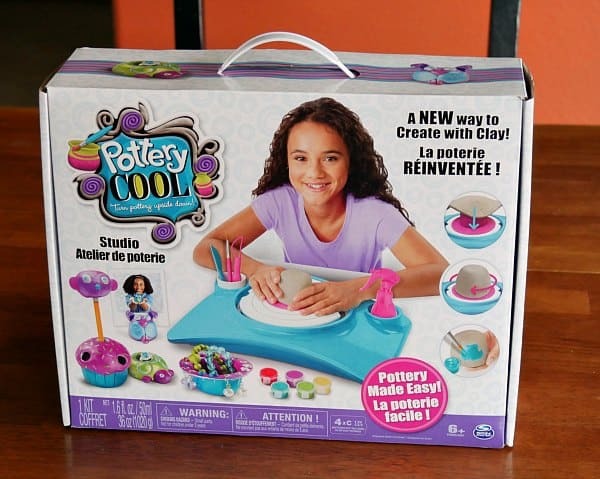 The Pottery Cool set came with enough clay to make 6 different projects, all of which kids can actually use. My daughter made an iPod speaker and a jewelry holder. 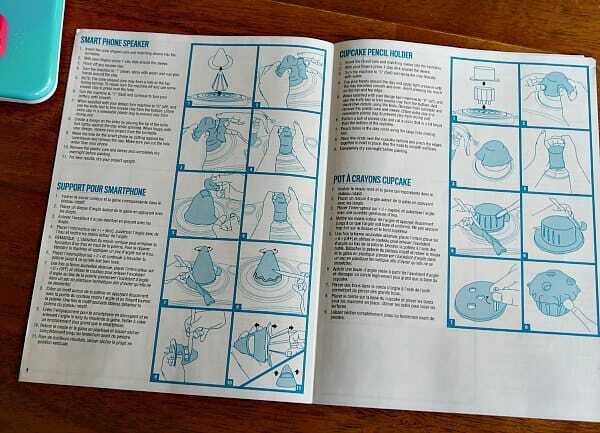 The kit also included step by step instructions for each project, which was awesome! 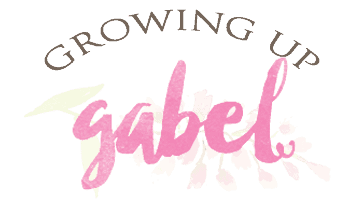 After learning how to use the wheel for the first project, my 10 year old daughter was able to make the next project entirely on her own. 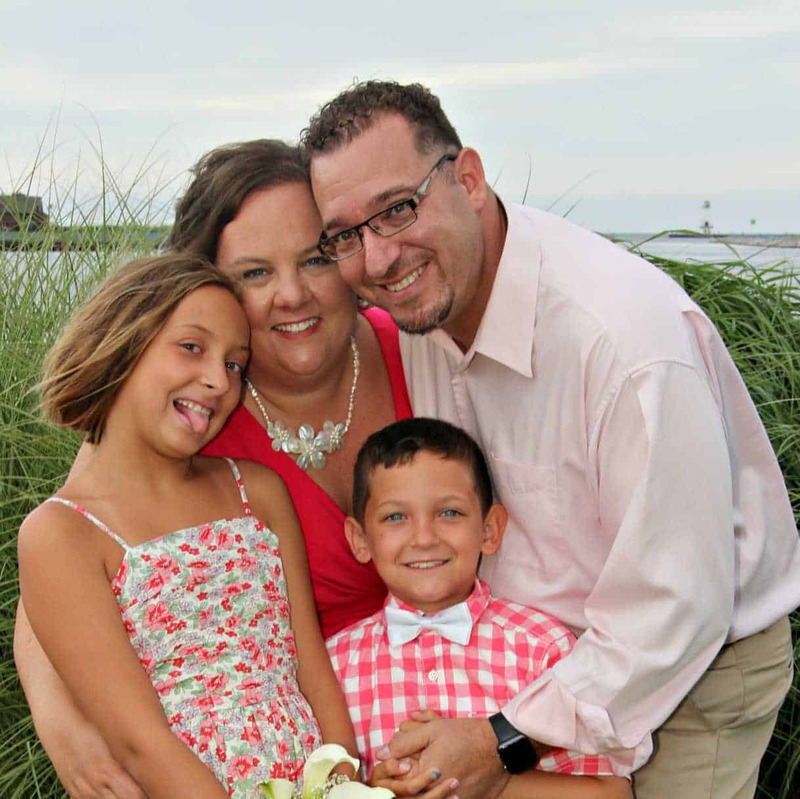 If your kids are anything like mine, they live on YouTube. Pottery Cool has a whole set of videos on YouTube to show them how to use the wheel and create projects, as well. 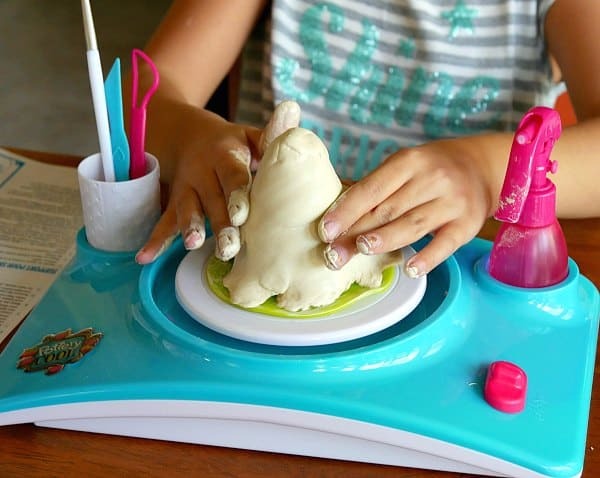 The clay comes in disks making it very easy to use on the wheel. One of the hardest things about throwing pottery is shaping the clay. The disks and the molds for the wheel make it very easy to get the correct shape. This was the best part! 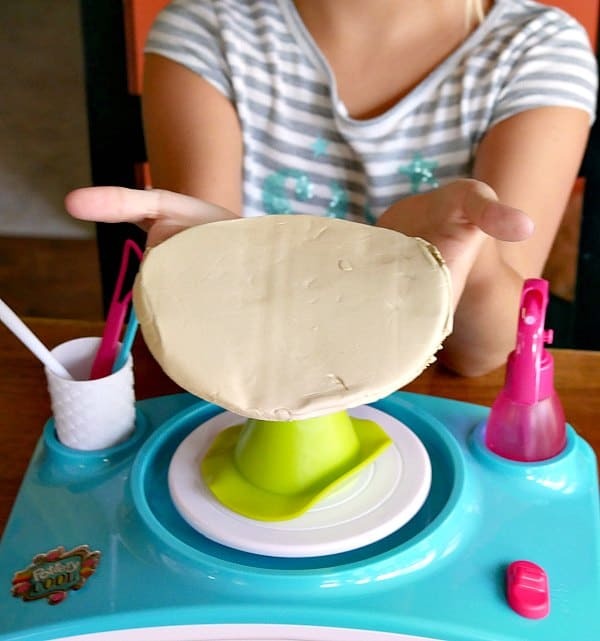 Smoothing the clay in to the needed shape using the potters wheel was a huge hit with both kids. It took quite a bit of water, but we also live in the desert and our air is very dry. It's also a little messy so make sure to wear old clothes and cover surfaces. 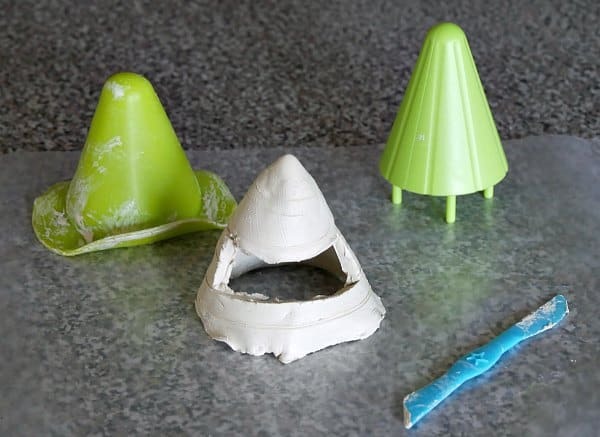 Once the clay was molded, she used the tools to create designs on the phone speaker she was making. It was fun to show her how she could use the water and the wheel to fix any mistakes she made. The clay is air dry so there is no baking or heat needed. We let the projects sit out overnight on a sheet of wax paper. The next day they were ready to paint. The Pottery Cool came with paints and brushes for the final step. The tent looking item is actually a speaker for her iPod and the little bowl is a jewelry holder. I let her take the lead on both projects so they don't look exactly like the box, but she didn't care one bit. 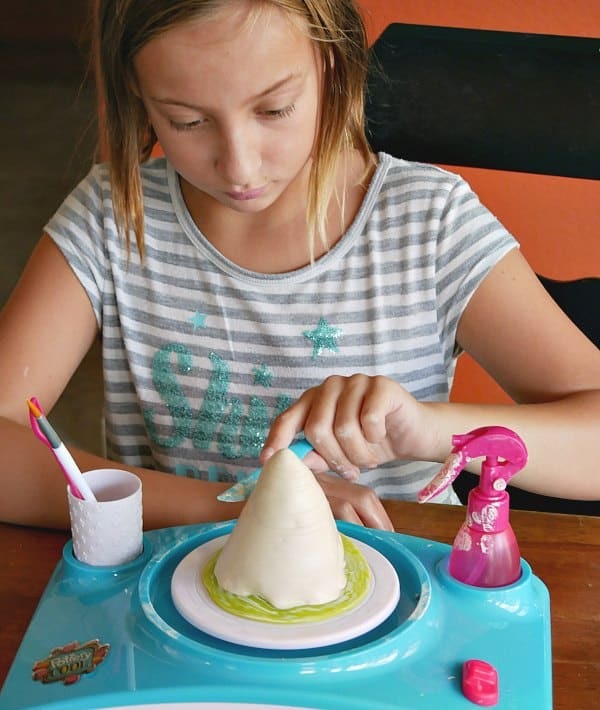 Pottery Cool is perfect for kids and tweens who love DIY and craft projects! Pick it up at Walmart.com!